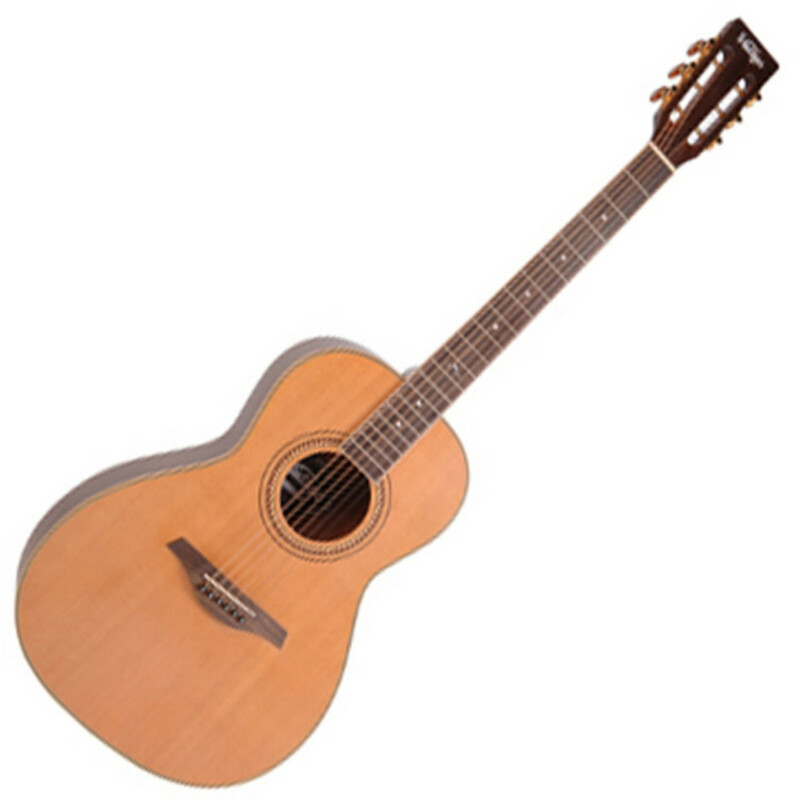 The V880N has a gentle, rich sound particularly suited to playing fingerstyle. With a solid cedar top and mahogany back and sides, this guitar is incredibly good value for money. Great for a beginner, or as a travel guitar. The range of Vintage acoustic guitars offers fantastic value. With its keen value-for-money approach, the comprehensive Vintage line-up is a collection of guitars to be proud of.